ZT Morbi - wonderful pattern in bright colors from the studio ZooTemplate for tourist sites. This template contains all the features and the best clubs expansion studios that allow you to create a quality website. Of the main advantages is to provide a template: the presence of Mega Menu, modules slide show and display the latest news, built AJAX accordion, tabs support, built-in social buttons and more. 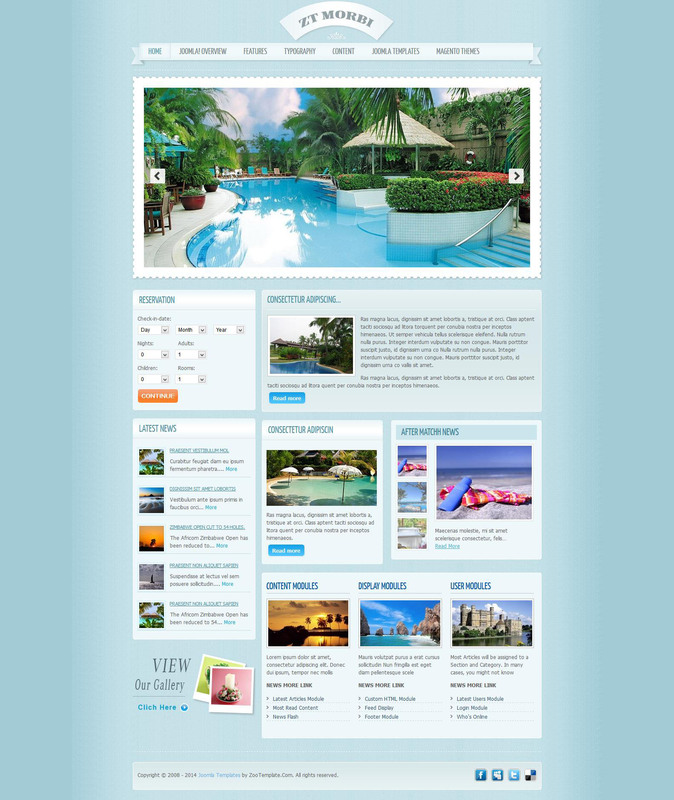 Layout design is made in the design of light and contains 3 colors (green, red and gray). Corporate ZT Headline rotator at the top of the site is able to display the most important elements to support a variety of effects and handy module ZT Accordion perfectly cope with displaying various information, saving space on the site. CSS template files are optimized, there is support for mobile devices and all versions of browsers. The archive (template source and a fast start). Added version for Joomla 1.7.